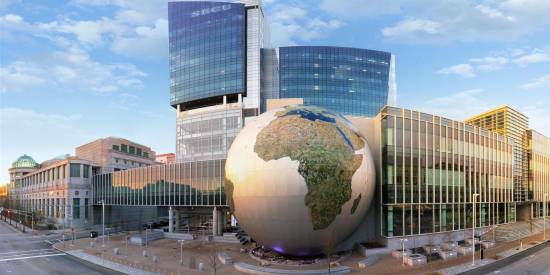 30 Hand-Picked Experiences for Your Summer Bucket List in Raleigh, N.C. Roll call! 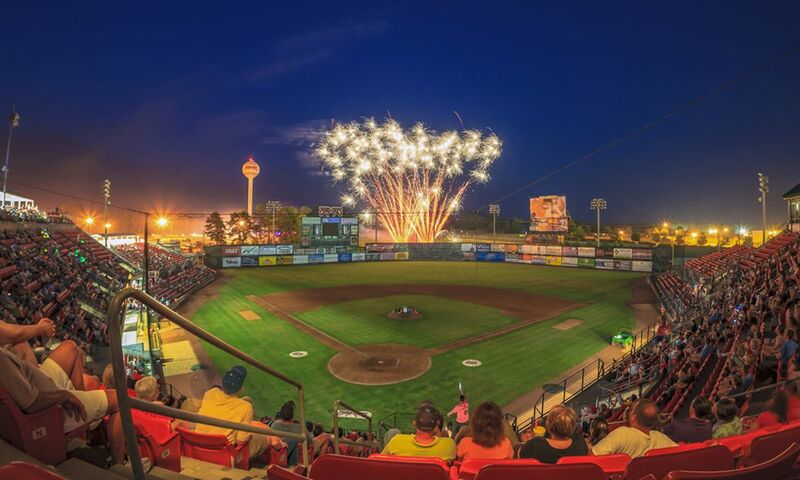 Who&apos;s ready for outdoor movies, baseball games, stand-up paddleboarding and brewery hopping? We&apos;ve got huge plans this summer in the Raleigh area! 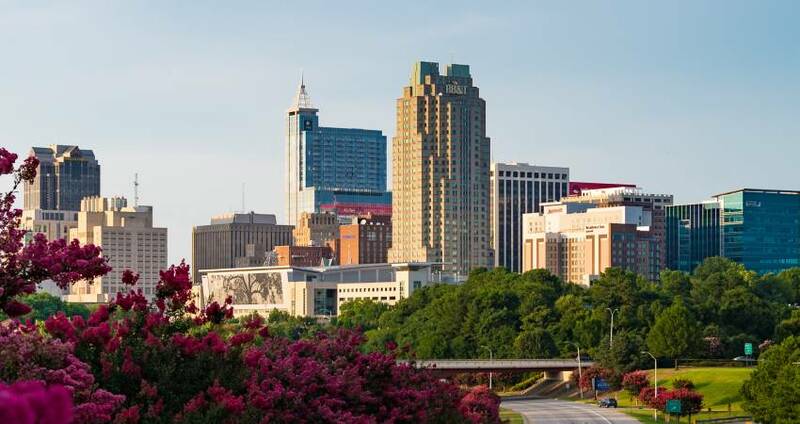 To jump-start and keep you busy during these longest days of the year, we&apos;ve put together this list of 30 items for your summer bucket list, perfect for planning a trip to Raleigh with friends and family. Need more inspiration? Follow us on Instagram or give us a shout on Twitter—we&apos;re here to help! 1. Visit Aviator SmokeHouse in Fuquay-Varina (before or after enjoying a brewed-in-house beer on the Tap House patio directly across the street) to take on the Aviator Wing Madness Challenge—12 smoked and deep-fried chicken wings drowned in the restaurant&apos;s own Imperial MocoLoco Sauce, a blend of ghost chili peppers that&apos;s described on the menu as "very, very, very, very, very, very hot." 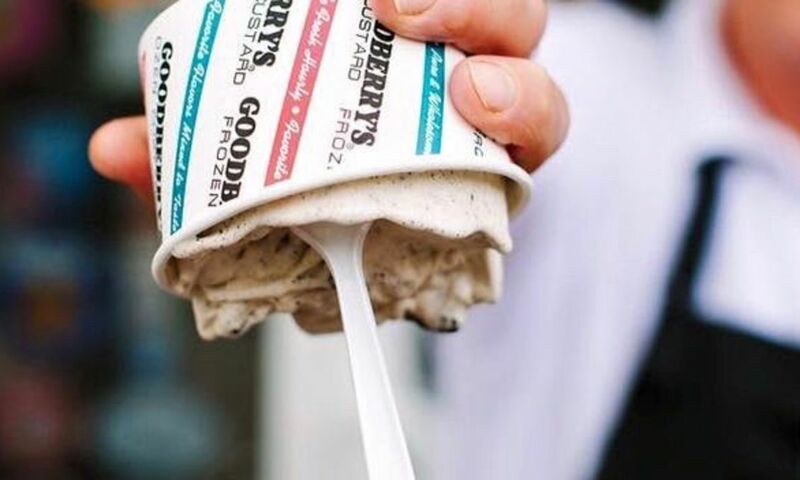 Spoiler alert: your hands will throb, your mouth will go numb, your stomach will burn and it will all be for nothing when you can&apos;t finish the challenge in the allotted 15 minutes. You&apos;ve been warned! 2. Settle in for a jam-packed summer of open-air tunes. We&apos;ve counted up more than 100 outdoor concerts in the Raleigh area during these warm-weather months, including big names like Luke Bryan (6/28), Imagine Dragons (7/5), Arcade Fire (7/12), Ms. Lauryn Hill (7/25), Father John Misty with Jenny Lewis (8/1), Zac Brown Band (9/14), Jason Isbell and the 400 Unit (9/28) and way, way more. 3. Pack blankets, chairs, picnics and coolers and head out to the North Carolina State Fairgrounds to see Raleigh&apos;s biggest fireworks display—the Raleigh 4th of July Fireworks Display (7/4) will provide unobstructed views and a family-friendly atmosphere with plenty of parking for the free-admission holiday celebration. 100 Outdoor Summer Concerts in Raleigh, N.C.
Where to See July 4th Fireworks in Raleigh, N.C.
4. Take the kids to Marbles Kids Museum, a hands-on, minds-on learning destination designed for children 10 and under to learn through play and discovery. It&apos;s one of the most visited attractions in the entire state, headed up by passionate mind Sally Edwards. 5. 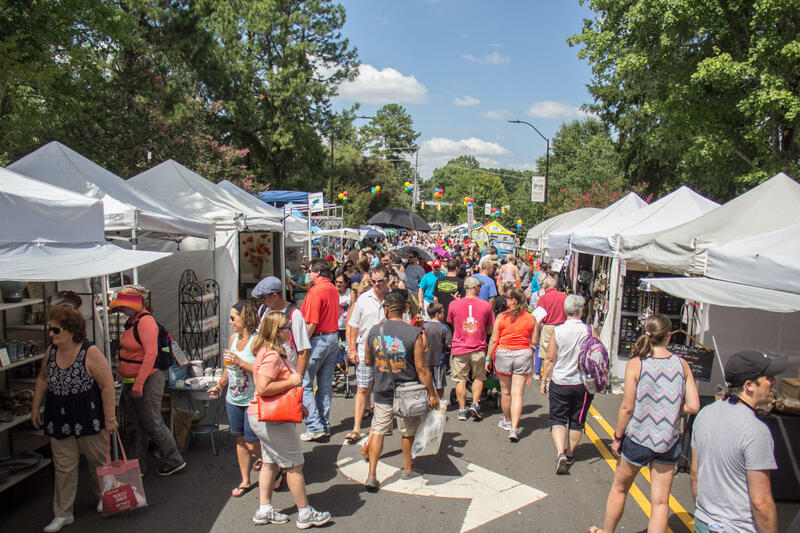 Save the date for the 42nd Annual Lazy Daze Arts and Crafts Festival (8/25-26), a two-day celebration of arts, music and food in downtown Cary. 6. Rent a canoe, kayak, sailboat or stand-up paddleboard and get out on the water! One of our favorite ways to combine relaxing views with a bit of exercise, you&apos;ll find all sorts of adventures to suit your needs. For families, head to Fred G. Bond Metro Park in Cary for a day of picnicking and rowing. 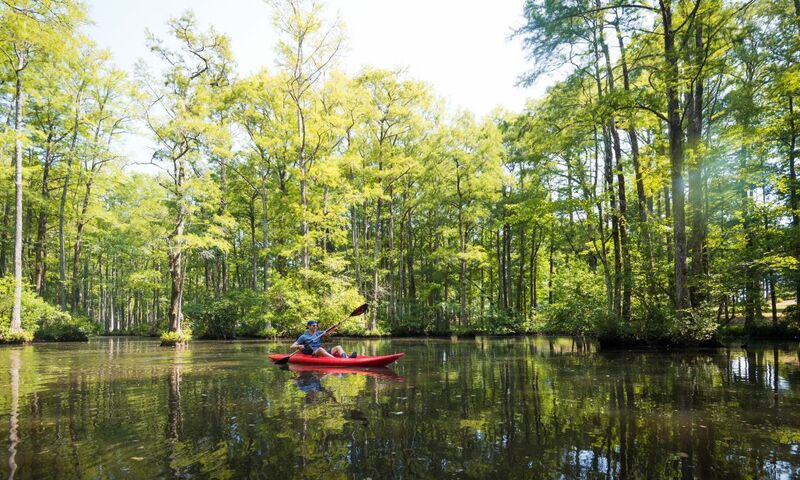 For a bit more action, unload your canoe or kayak at any of the launch points along the Neuse River Canoe Trail and head downstream! For more, check out our guide to kayaking, stand-up paddleboarding, canoeing and more in Raleigh, N.C.
7. Back on land, take advantage of the area&apos;s abundance of parks and greenways and hit the ground running with seven of the area&apos;s best trails to hike, bike run (including skyline views, brutally-steep hills, massive suspension bridges and more!). Where to Hike, Bike, Run in Raleigh, N.C.
8. Head to Holly Springs to visit the Raleigh area&apos;s oldest brewery (now there are nearly 30! )—Carolina Brewing Company opened up more than 20 years ago in 1995. Free brewery tours, lasting about 45 minutes, take place on Saturdays at 1pm and 4pm. Our go-to move is to grab brunch or lunch down the street at The Mason Jar Tavern (Gouda grits or apple pie moonshine pancakes anyone?) then hit the taproom for some afternoon brews. 9. Swing by Sola Coffee Cafe for a latte, their signature hot mini donuts and a selfie with this gorgeous #ibelieveinraleigh mural out back. 10. 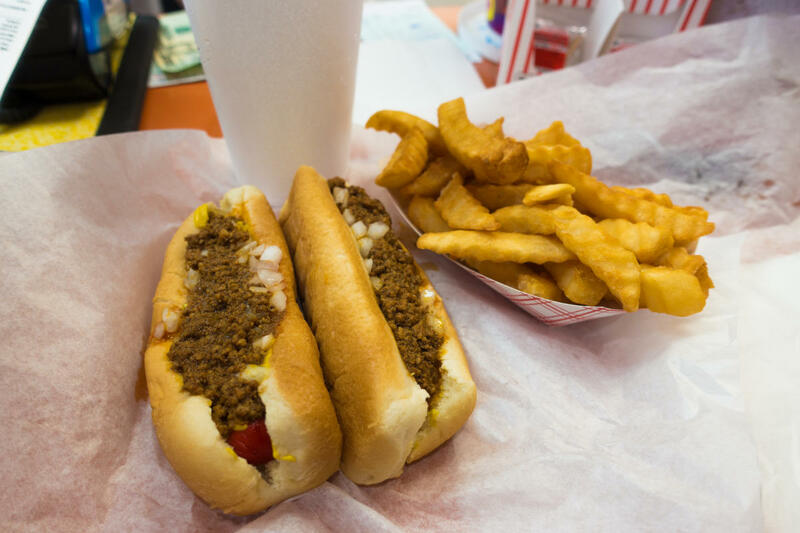 Dig in to doggone good hot dogs at two of the area&apos;s oldest and most iconic restaurants. 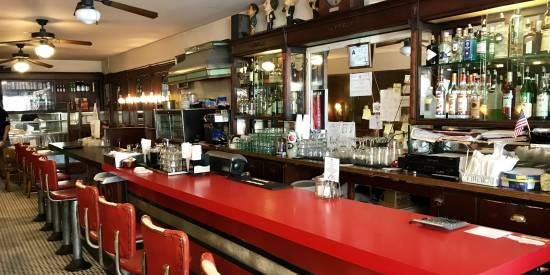 At Shorty&apos;s Famous Hot Dogs—a hangout for locals in downtown Wake Forest for more than 100 years—you&apos;re likely to find a line of loyal customers stretched out the front door waiting to give their order to fourth-generation owner Chris Joyner behind the counter. A couple of bright-red Jesse Jones dogs, an order of crinkle-cut cheese fries and a large sweet tea is the way to go here. In downtown Raleigh, the no-frills Roast Grill—opened in 1940—is one of the state&apos;s most beloved hole-in-the-wall restaurants thanks to a simple menu of grilled hot dogs (served with chili, slaw, mustard and onions but without ketchup, mayo, cheese, kraut, relish or French fries) and glass bottled Coca-Cola. 11. Barbecue. Barbeque. Bar-b-que. BBQ. No matter how you spell it, we can all agree on one thing: with a plate of &apos;cue in hand, all is right in the world. 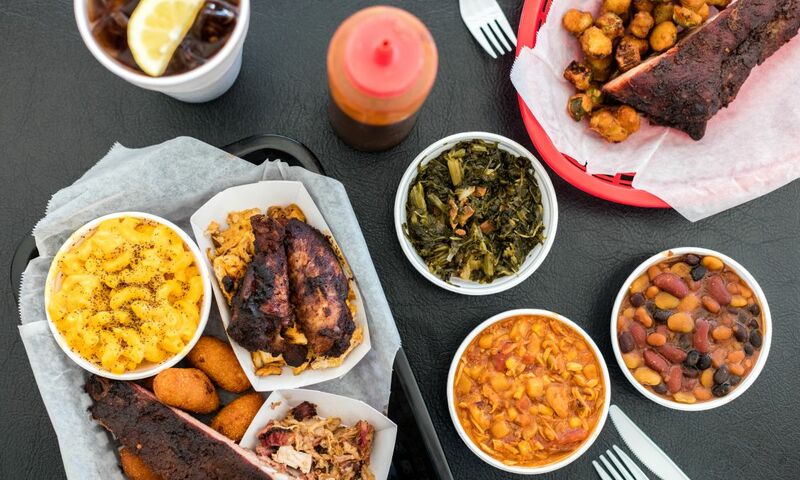 That&apos;s why we put together this guide to barbecue in Raleigh, N.C. Read up on 10 of our favorite spots for pulled pork sandwiches, hush puppies, banana pudding and more, then let the taste-testing begin! A good place to start? 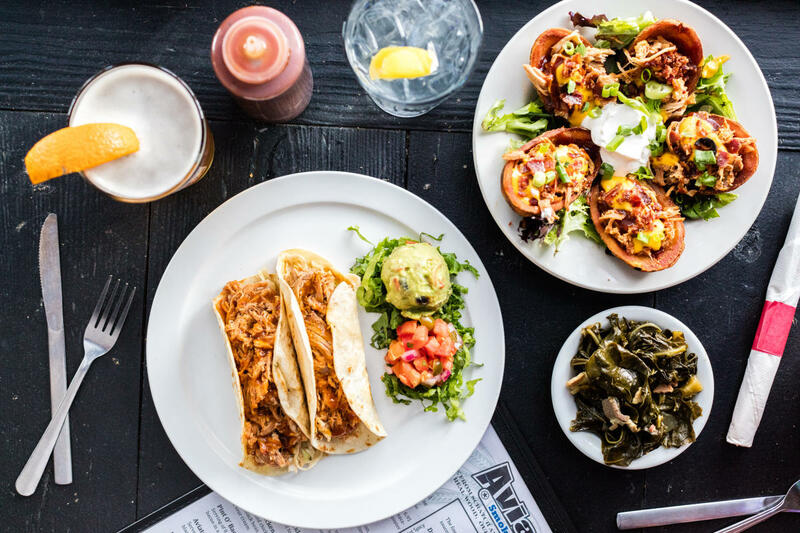 Brew N Que, with locations in both Apex and Cary, where the chopped pork pairs incredibly well with an extra-gooey smoked potato salad that&apos;s earned bunches of rave reviews. Ten of the Best Barbecue Restaurants in Raleigh, N.C.
12. Swing by the always-free North Carolina Museum of History in downtown Raleigh to explore the work of N.C. artist Ernie Barnes, a Durham, N.C., native best known for his widely-imitated, unique style of elongation, energy and movement that made him one of the premier figurative artists of the late 20th and early 21st centuries. The exhibit, titled "The North Carolina Roots of Artist Ernie Barnes" (6/29/18 through 3/3/19), will showcase many unpublished original paintings as well as artifacts from his life. 13. 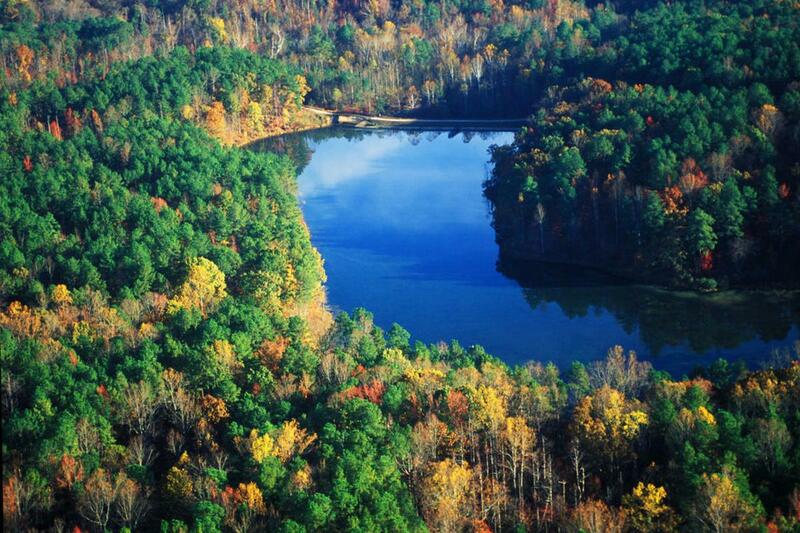 Set up camp and spend the night outdoors at N.C.&apos;s most visited state park, the 5,600-acre William B. Umstead State Park. The park has 28 non-electric tent campsites available to be reserved online here (fees, starting at $15 per night, may apply). 14. 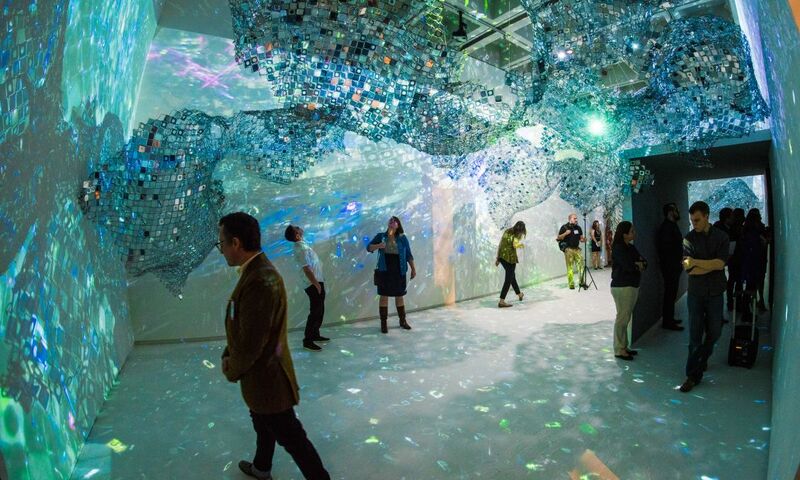 Visit one of the most exciting exhibits at the North Carolina Museum of Art in recent history, You Are Here: Light, Color, and Sound Experiences (open through 7/22), which features immersive art installations by 14 contemporary artists, including large-scale light works, sound installations, video works, mixed-media room-size environments and site-specific projects. 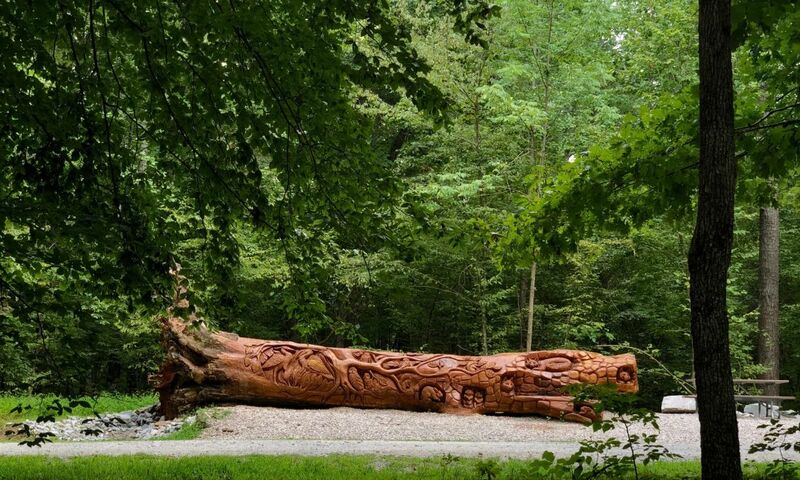 This exhibition takes over an entire floor of the museum’s temporary exhibition galleries and also transforms the landscape in the Ann and Jim Goodnight Museum Park, creating a campus-wide presentation of contemporary experiential art. Get a preview of the ticketed exhibit here! 15. Get an up-close look at "Trouble," the 55-ton sperm whale on display at the North Carolina Museum of Natural Sciences that washed ashore 90 years ago on the N.C. coast and caused nearly two full years of problems for museum staff before the skeleton was finally suspended from the trusses of the second floor ceiling just as it is today. 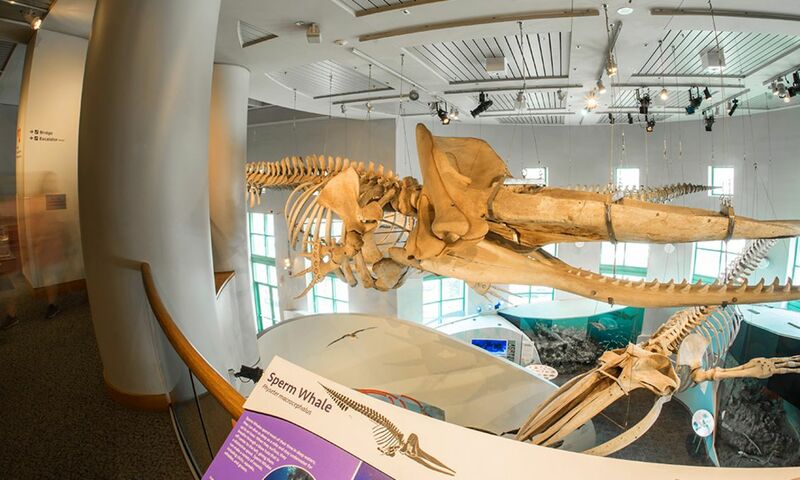 Joined by several friends in the Coastal North Carolina Hall—a massive blue whale, a rare True&apos;s beaked whale and an endangered right whale—this section of the museum boasts one of the most impressive whale collections in the country. 16. Round up the family for a field trip to an iconic summer playground spot in Raleigh. Established in 1887 and designated as the first public park in N.C., Pullen Park in Raleigh sits nestled between downtown Raleigh and the main campus of North Carolina State University. Known for terrific recreational opportunities—especially for kids and families—the park includes an operating carousel built in 1911, a miniature train you can ride through the park, pedal boats to cruise around Lake Howell plus tennis courts, baseball and softball fields, an arts center and an innovative performing arts venue, Theatre In The Park (Ira David Wood III Pullen Park Theatre). 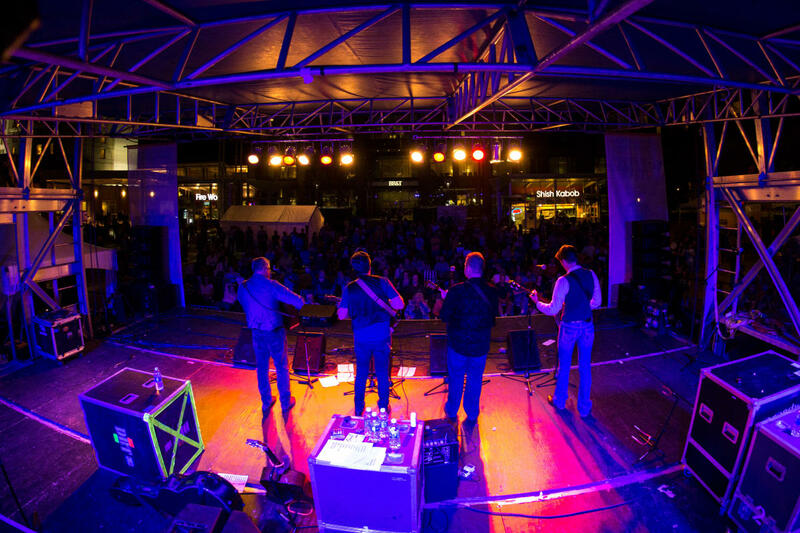 and International Bluegrass Music Association&apos;s World of Bluegrass (9/25-29), a toe-tappin&apos;, banjo-strummin&apos; week of non-stop bluegrass in downtown Raleigh. 18. Nothing screams "summer!" quite like settling in under the stars for a movie night. 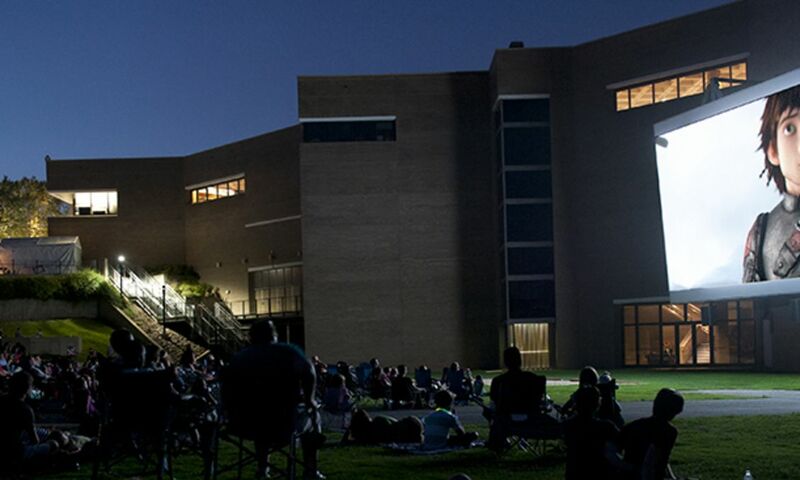 With movies being shown outdoors this summer at parks, amphitheaters and gardens across the Raleigh area, there are tons of opportunities to get in on the fun. From Oscar winners to family favorites, we&apos;ve rounded up nearly 50 chances to catch an outdoor flick this summer. 19. 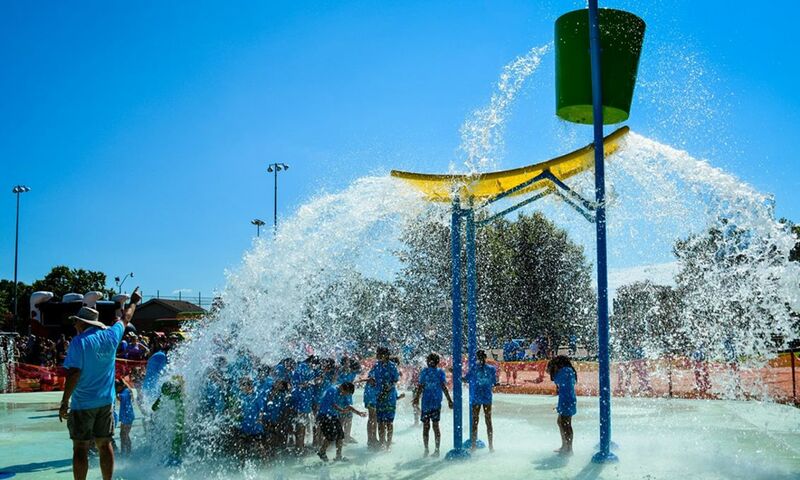 Let the kids splash themselves silly at the 6,000-square-foot splash pad at Fuquay-Varina&apos;s South Park, let loose on the playground or sprayground at Cary&apos;s Jack Smith Park or run wild at Wake Forest&apos;s Taylor Street Park Sprayground (plus check out more ways to cool off with water fun this summer in the Raleigh area). 20. What could be better than a full day of beer sipping, bourbon tasting and barbecue eating? 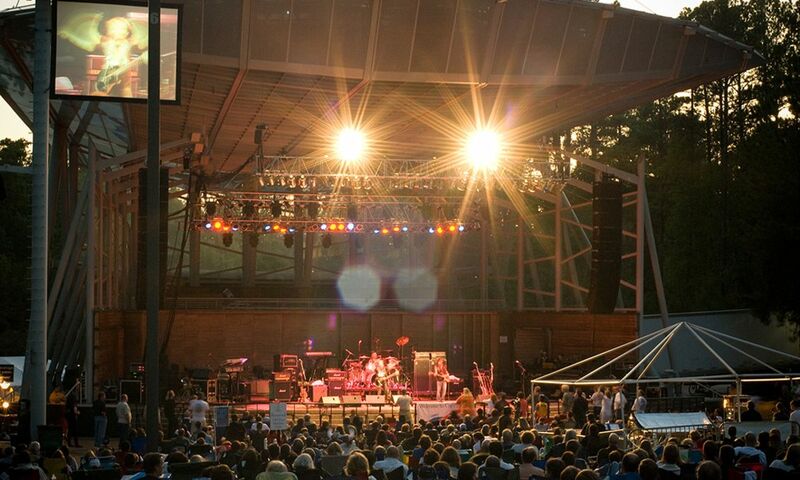 That&apos;s what you get at the aptly-named Beer, Bourbon and BBQ Festival (7/27-28) at Cary&apos;s Koka Booth Amphitheatre. A ticket gets you a souvenir tasting glass and unlimited beer and bourbon samples. Sign us up! 21. Pay a visit to Alamo Drafthouse Cinema, the beloved movie theater brand known for its passion towards film, food and beer, which has officially opened it&apos;s first N.C. location in Raleigh! 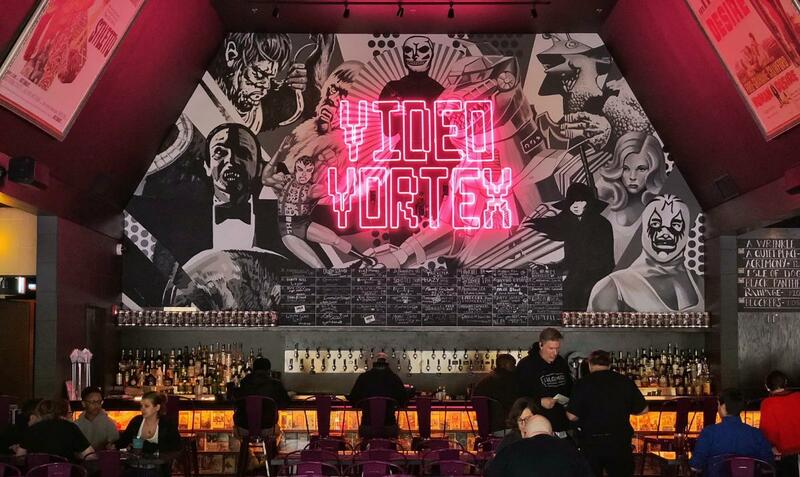 The 11-screen complex, with theater capacity ranging from 49 to 109 seats, also features an Alamo first: the Video Vortex bar, an immersive video-themed bar where you can enjoy nearly 50 local beers on tap (or take them home in a 32-ounce "crowler" can) plus dive into one of the largest rental collections of cinema in the country (75,000 classics, obscure releases, foreign films and more are on hand!). Check out more summer date ideas here! 22. Hone your racing skills at speeds of nearly 40 mph at the state-of-the-art indoor go-kart track at Rush Hour Karting in Garner—kids ages eight years old and up can get in on the action, too, and reservations can be made for groups of five or more in advance. Go, go, go! 23. Beat the summer heat in the sweetest way possible by ordering a frozen hot chocolate from Videri Chocolate Fatory and finding some shade on the back patio. Or double down on a scorching summer day by heading to Sunni Sky&apos;s Homemade Ice Cream and ordering the Cold Sweat—a flavor invented by owner Scott Wilson that&apos;s made with a variety of chili peppers and hot sauces and has been dubbed as "the spiciest sweet treat on the planet." Yes, you&apos;ll have to sign a waiver before digging in. Summer Date Ideas in Raleigh, N.C.
24. 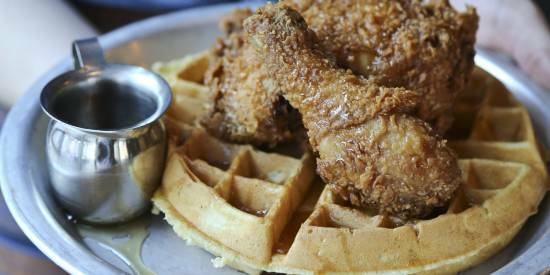 Sink your teeth into two of the most crave-worthy fried chicken spots around. 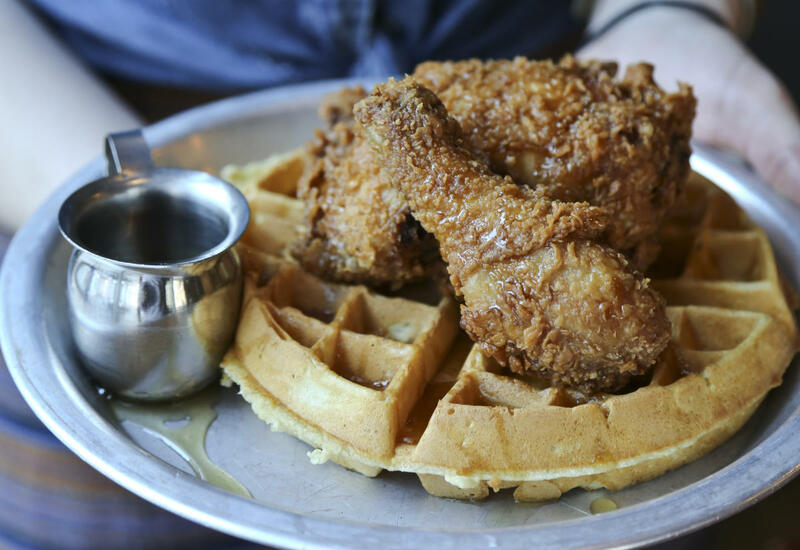 At Beasley&apos;s Chicken + Honey, a brainchild of passionate mind and James Beard Award-winning chef Ashley Christensen, the menu has options for the entire family—fried chicken and waffles drizzled in honey; a fried chicken biscuit with pickled green tomato and Dijon; quarter fried chicken; classic chicken sandwich on a potato bun; hot chicken sandwich made with Carolina Reaper (the hottest pepper in the world) and more. At Soo Café—a Korean restaurant with a cult-like following thanks to their crispy, sticky fried chicken wings and tenders—the only question is how spicy of a sauce you&apos;d like your food covered in. The SOGA (soy-garlic), while delicious, is the also the most tame; the original sauce brings quite a bit of heat with hints of sweet and sour flavors that, according to the restaurant, most closely resemble Korean flavors; and the H&S (hot and spicy) is full of melt-your-face-off levels of heat. 25. Calling all cyclists, runners, outdoor enthusiasts and Instagram addicts—a gorgeous field of sunflowers has popped up at Dorothea Dix Park! 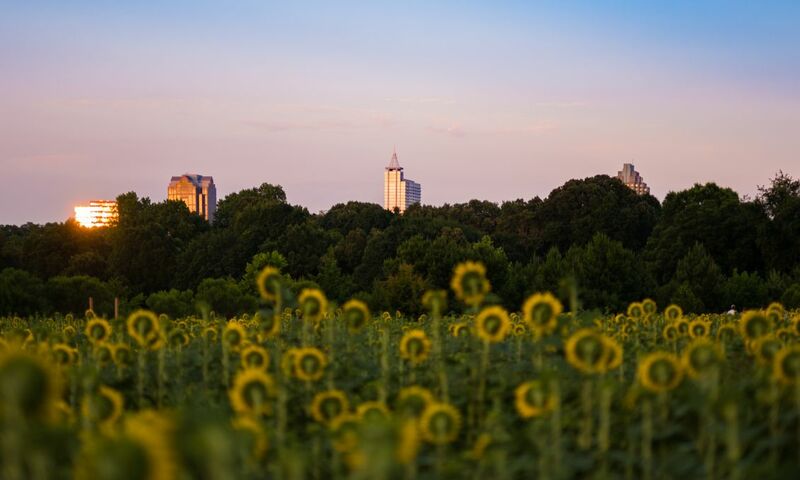 First planted by the City of Raleigh&apos;s public utilities department in 2010, acres upon acres of sunflowers now bloom each year in early summer. The fields serve a purpose beyond just acting as a wonderful pop-up tourist spot—the City will harvest the sunflowers to create thousands of gallons of biodiesel, which is then processed into fuel to run tractors, trailers and farm equipment. The sunflowers are expected to be in bloom from approximately July 1 through July 21. 26. 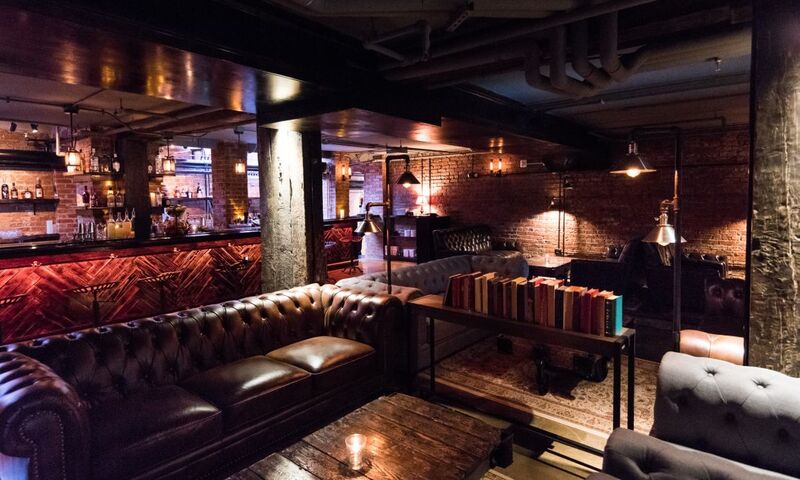 Grab a happy hour drink at a not-so-common spot—underground at a 1920s speakeasy, behind a bookshelf at "one of the world&apos;s most secretive bars" or on the rooftop of a hotel that provides far-reaching views. Check out our guide to rooftop, hidden and underground bars here! 27. Get schooled on more than 200 years of Raleigh history at the City of Raleigh Museum (COR Museum), with rotating exhibits that preserve the past and showcase historical artifacts (free admission, with donations suggested), and take a free guided tour at the North Carolina State Capitol (Saturdays, 11am and 2pm) where you&apos;ll hear from an expert on the who/why/how of some of Raleigh&apos;s earliest days. 28. Get ready to explore endless dining options at the Raleigh area&apos;s very first food hall. Morgan Street Food Hall & Market, located on the edge of the Warehouse District in downtown Raleigh, now has a grand opening date of July 23 and is expected to feature nearly 20 different food vendors to go along with a beer garden, a butcher shop, a gin bar and more. 29. 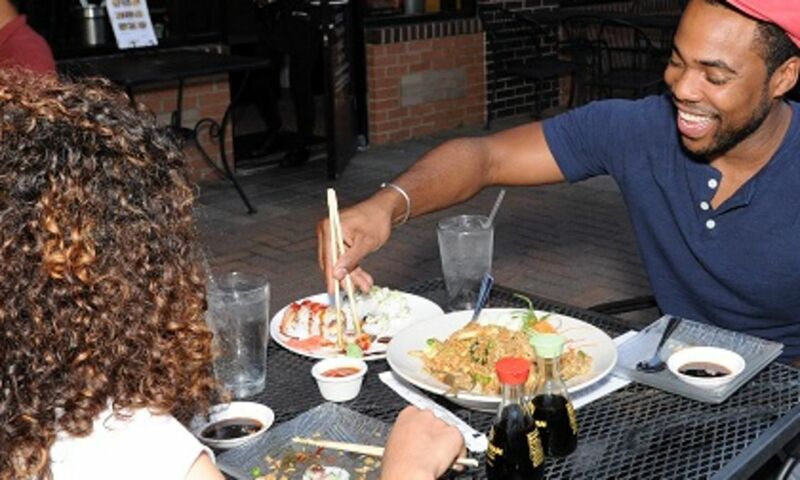 Indulge in some late-night grub from two Raleigh originals. Snoopy&apos;s Hot Dogs & More (open until 3am Thurs.-Sat.) and Char-Grill (until 2am Fri. and Sat. 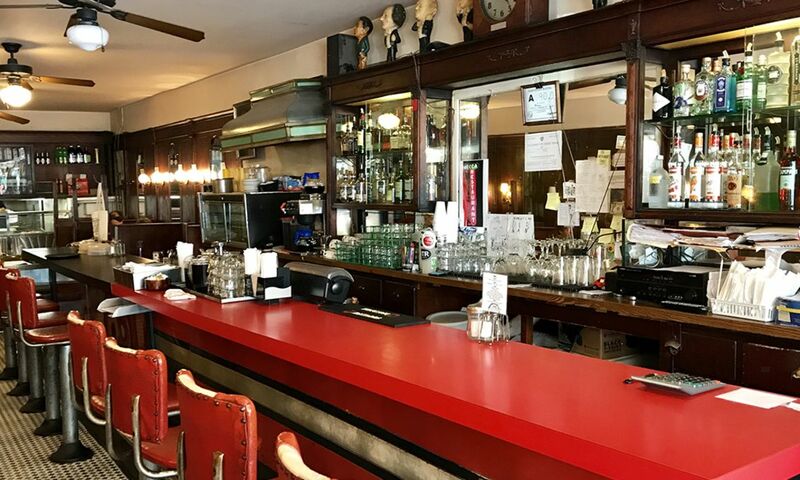 ), less than 200 feet from each other just off Glenwood Ave. in downtown Raleigh, have been feeding hungry bar-goers for as long as we can remember (more than 50 years at this location in Char-Grill&apos;s case!). 30. Spend a quiet afternoon in North Hills exploring legendary bookstore Quail Ridge Books (local and independent since 1984), take the kids to downtown Raleigh&apos;s Read With Me (a children&apos;s book and art shop filled with diverse reading selections and book-themed crafts) or take a date to browse the bookshelves at Reader&apos;s Corner before hopping across the street to grab coffee at iconic Hillsborough St. hangout Cup A Joe.